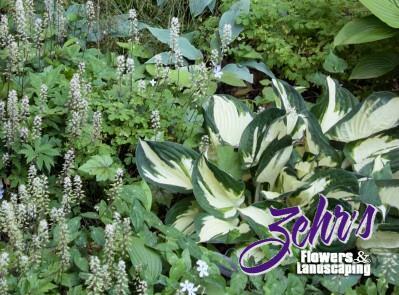 A sport of 'Patriot', with striking pure white centers and contrasting dark green margins. Growth habit is upright and foliage appears almost twisted. Lavender flowers appear in mid summer on white stems. A splendid addition to brighten up any shade garden.